Do you work in a school, gym or leisure centre? Or do you have an upcoming marketing campaign surrounding the idea of health and fitness? 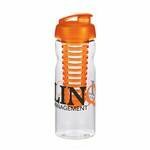 If so, then our promotional water bottles could make the perfect promotional gift for you. 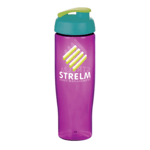 All of our water bottles can be printed with your logo or marketing message. Printing can be done in up to four spot colours. All of our bottles offer generous print areas onto which we can apply your imprint and artwork. 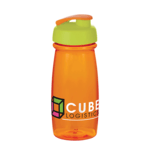 Personalised water bottles make great giveaways at trade shows,exhibitions and marketing events. They are such a useful and practical promotional giveaway and provide a great platform from which to advertise your business. 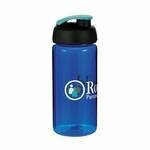 When more and more people are concerned with the health benefits of hydration, water bottles are ideal for promotions centred around health and fitness for gyms, health clubs, sports clubs, schools, colleges and universities. 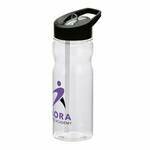 They are also useful giveaways when running health related promotions for staff within a business or public sector organisation. 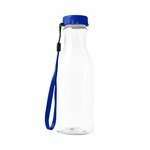 At Redbows, we provide a wide selection of water bottles that can be personalised or supplied as plain stock items including eco-friendly version. 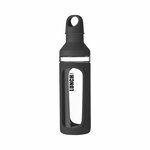 With so many different styles, colours and sizes to choose from, you can personalise every detail of your printed water bottles. 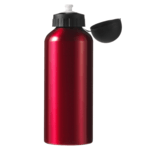 Whether looking for foldable water bottles, aluminium water bottles, or sports water bottles, we are confident we can provide you with the perfect water bottles for your company. If you need any help choosing the right personalised water bottle for your marketing campaign, or you would like help with your artwork then please contact our team on 0800 158 3080. We can also supply custom or bespoke made water bottles made to your specification and design through our manufacturing supply chain. The lead times for a bespoke water bottle can be longer and the unit price higher to cover the costs of the mould and tooling. Personalised water bottles are a common site these days whether commuting to work or in the office itself or sports club. Whether it’s a fashion accessory driven by programs like Love Island or a definite desire to be health and keep hydrated, branded water bottles open up a whole range of marketing possibilities for companies and organisations. Drinking water helps to maintain the right balance of fluids in the human body. Our bodies are made up of about 60% water which is used for a variety of reasons including maintenance of body temperature. The amount of water in your body is controlled by the pituitary gland and your brain which instructs the kidneys how much water to extract from your blood during the creation of urine or to hold onto as a reserve. Fluid in our body is important to aid digestion, absorption of foods, circulation and saliva. When you experience thirst, this is your brain triggering the you to seek out liquids including water, milk, juice and carbonated drinks. What you should avoid when thirsty is anything that could be a diuretic such as black coffee. One of the biggest uses of water is to help with calorie control. Not only does drinking water help to maintain a full feeling but the water working its way through your body uses up calories. Water also helps to maintain the balance of electrolytes in muscles as you exercise and during the post exercise period as muscles repair themselves and energy levels recover. Drinking the right amount of water is also associated with maintaining healthy looking skin as well as helping to keep your kidneys (which are themselves filters) cleaner and more efficient. Drinking the weight amount of water also aids digestion. Plastic is an ideal material to make a water bottle from. 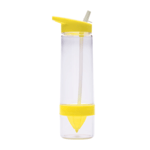 Our bottles are made from polyethylene and are BPA free. 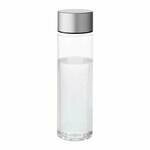 We also supply bottles made from recycled and reclaimed plastics and consider these to be eco-friendly or eco water bottles. 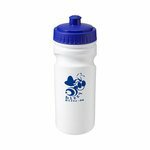 Water bottles have all sorts of uses from education to sports and leisure and corporate offices. 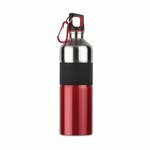 We have supplied water bottles to charities and sporting events as well as schools, college and universities, hotels, gyms, leisure clubs and health spas as well for sporting events like corporate golf days and to businesses and organisations looking to improve the well-being and health of their employees. 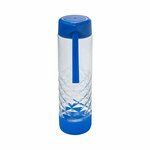 Cared for and cleaned correctly water bottles are complete reusable and promote your brand and provide health benefits for a long time. Every water bottle we supply is customised in some way. We can screen print up to four colours and provide digital colour printing for some products. All we need is your artwork file and we can then advise the best print method and background or body colour for your water bottle. Our turnarounds are very fast and we have stocked bottles, in a range of shapes, sizes and colours on the shelf that simply need booking into our printers for branding. If you want a completely bespoke or custom water bottle please let us know. We provide a complete customisation service and can provide you with a one-off design made exactly to your specification. This can lead to a slightly higher overall project cost due to tooling and lower print volumes but give you something unique for your marketing. For thousands of years, tea has been considered the key to good health and mental wellbeing. Advancements in modern science, has allowed researchers to find supporting evidence for the traditional uses of herbal teas in the East. Studies have shown that some herbal teas can encourage weight loss, lower cholesterol, protect against certain types of cancer and bring about mental alertness. Green tea, black tea, white tea, oolong tea and pu-erh tea are all derived from the Camellia Sinensis plant. The shrub, native to China and India, contains antioxidants called flavonoids. 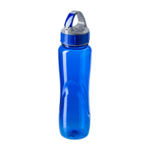 We can supply water bottles in either plastic or a metal alloy. 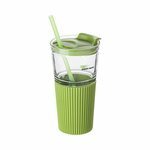 Both types of material are suitable for holding drinks and protecting them. 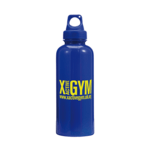 Some of the plastics are harder and other softer to provide us with a range of bottles suitable for a wide range of promotions including sports and general health and fitness. 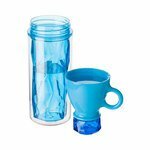 What is the best print method for a water bottle? The most common print method is a screen print and a single position. 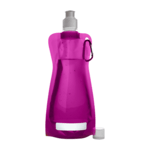 Most water bottles have a relatively large area for a screen print allowing and some may allow a partial wrap around the body of the water bottle. Please check the individual bottles for their print options and areas. Do you supply eco friendly water bottles? We have a range of water bottles made from recycled plastics in our eco water bottles collection. Recycled plastic water bottle pricing is relatively similar to standard pricing even with the extra cost of the recycling process.